This past weekend my daughter turned 7! She is all about rainbows, unicorns and ponies. 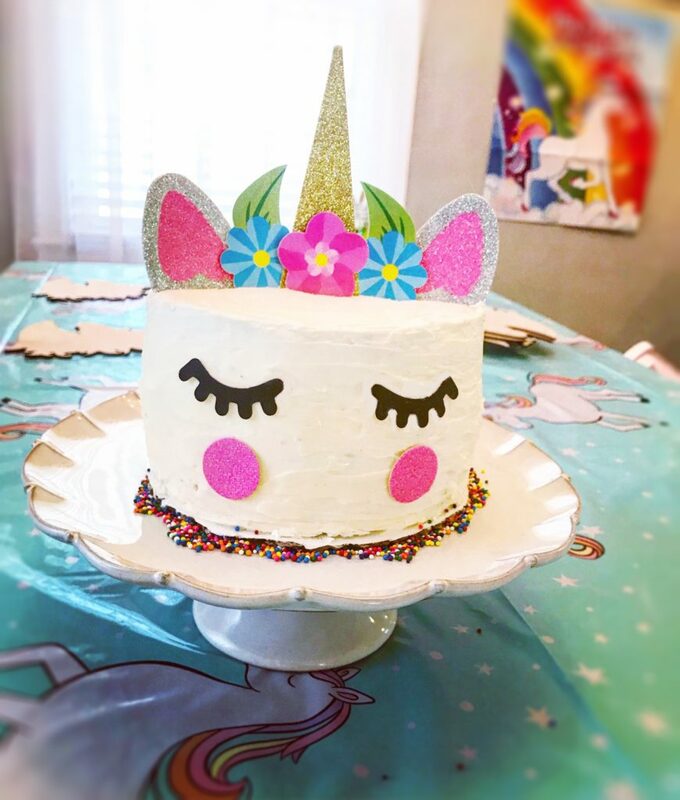 So, as requested, I threw her a unicorn birthday party. 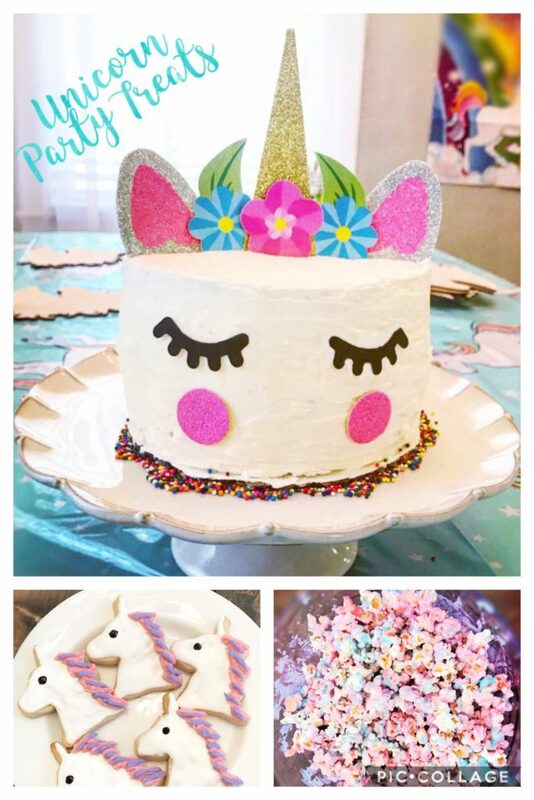 I thought I would share some of items at her party incase you were planning on doing a similar theme for your little one. We did this party at home and the entire shindig ended costing about $120, which is way cheaper than I would had to pay if we did it at a party place. It was a lot of fun learning to create some of these treats. 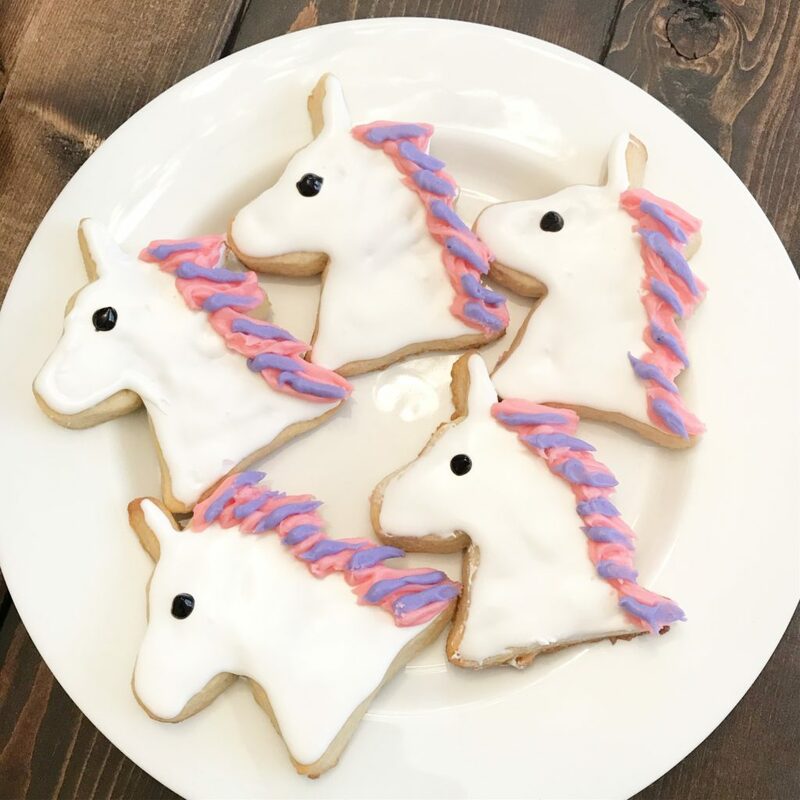 I decided at first to actually buy unicorn cookies from Etsy but after seeing how much they cost, I challenged myself to make them. They cost about $50/dozen premade and I made about 2 dozen for less than $20. It was actually easier than I thought. Off course, I did not do any intricate design but I still think they turned out pretty good. I followed a unicorn cookie dough recipe to get the dough to cut perfectly and smoothly. I have to say, I was a bit intimidated when I saw this cake online. It looked so complicated. I did not realize that all the decorations were made of paper and you just need to stick them on a simple frosted cake! Whew knew. This cost about $10 to make. I am so making this with different colors at my next get together. 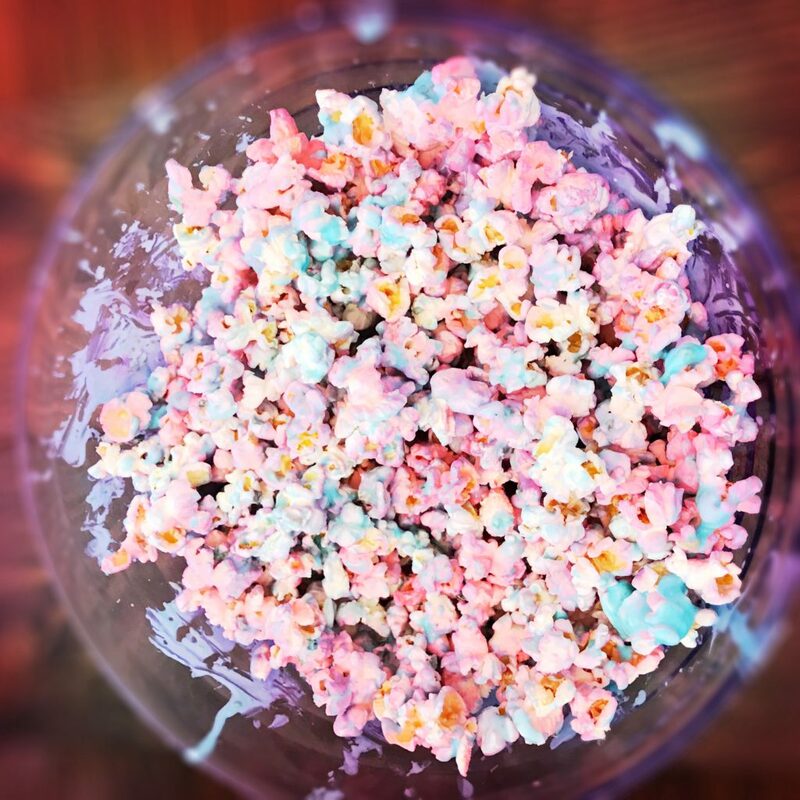 This popcorn/aka unicorn poop was a big hit at the party. It finished in the first 10 minutes. I followed this recipe from Life Love Liz and as you can see it turned out so pretty. 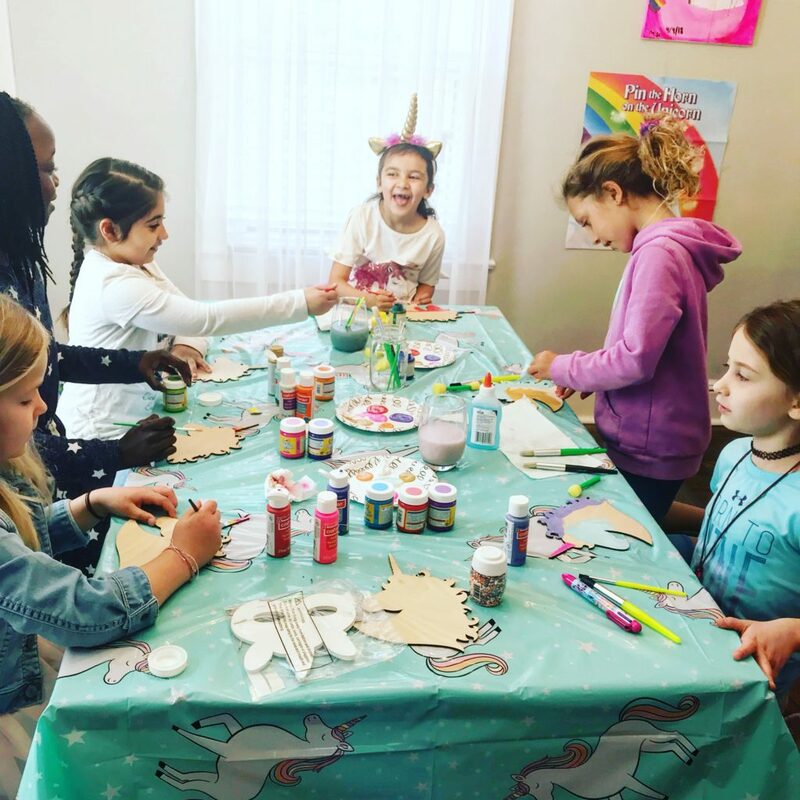 I purchased wooden unicorn cutouts for the girls to paint and take home. As you can see Mila had a blast. I love how happy she is in this picture. There are lots and lots more unicorn theme treats available. I honestly could not make all of them. 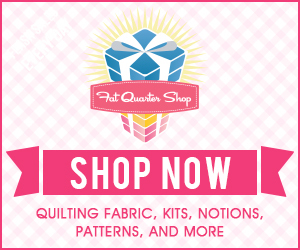 If you are looking for other ideas, Sweetly Chic did a fabulous post of the theme.